As if you can't tell, the day started out pretty ugly and it got worse before it got better. Trying to put up tents in the rain brings back some ugly flash backs. However, we had a lot of dedicated volunteers that were going to make Bye-Bye Bird work or they were going to go home wet trying. I left at 11:30 with Cindy to go get the eagle that was being released today. Taking the senic route due to construction on Ft. Richardson that we were unaware of until we got there, we were running a little behind. On the trip back the weather had cleared up real good. Half way back it was sunny and then it turned for the worse again. 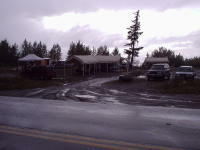 As we pulled up to the event it started to pour again which was around 2PM. The weather didn't dampen our attitudes too much (sorry for the pun). Everyone had their stations up and going and the weather finally cleared up. The sun came out a little, but it stayed partly cloudy for the rest of the afternoon which is not unusual weather for Anchorage in September. 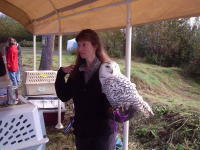 During this time, we had our Bird TLC Education Birds being presented. There were at least three birds being presented the whole time. We had a bald eagle, golden eagle, great horned owl, snowy owl, great gray owl, sawwhet owl, northern hawk owl, rough legged hawk, northern goshawk, merlin, American kestrel, short eared owl, northwestern crow, raven, magpie, stellar jay and I'm sure I missed a few. 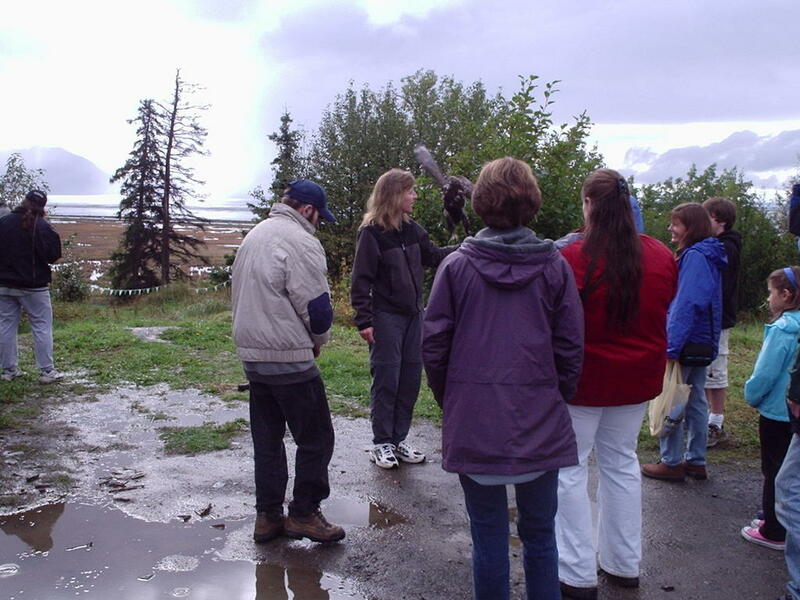 There was a shuttle bus provided by the Alaska Zoo bringing people from the Potter Marsh parking area to the Bye-Bye Birdie site and giving a birding narrative along the way. There was a bird migration game for kids. 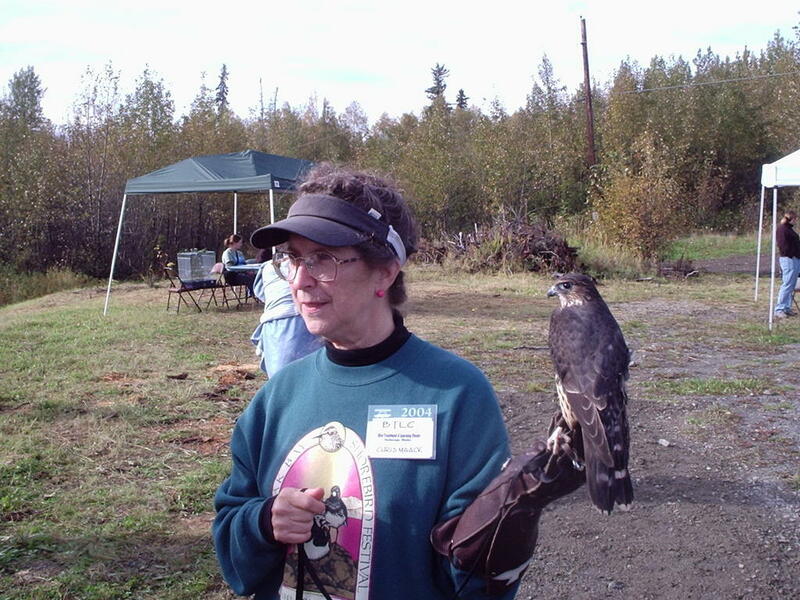 They were shown what birds migrated, what they ate and where they traveled with help from USF&W, and Alaska Dept of Fish & Game. 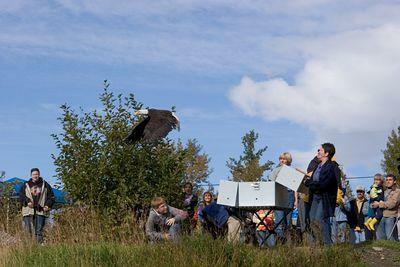 The blad eagle was released at 3pm (ish) by Mayor Mark Begich, our raffle winner Dan, a representative of ConnocoPhilips and USF&W. We expected our eagle to go one direction, and like a wild bird he went another. Here's a link to John Gomes, the offical photographer of the Alaska Zoo. He took some great shots at the site. Here's a link. I stole one of the release pictures below. Thanks John! 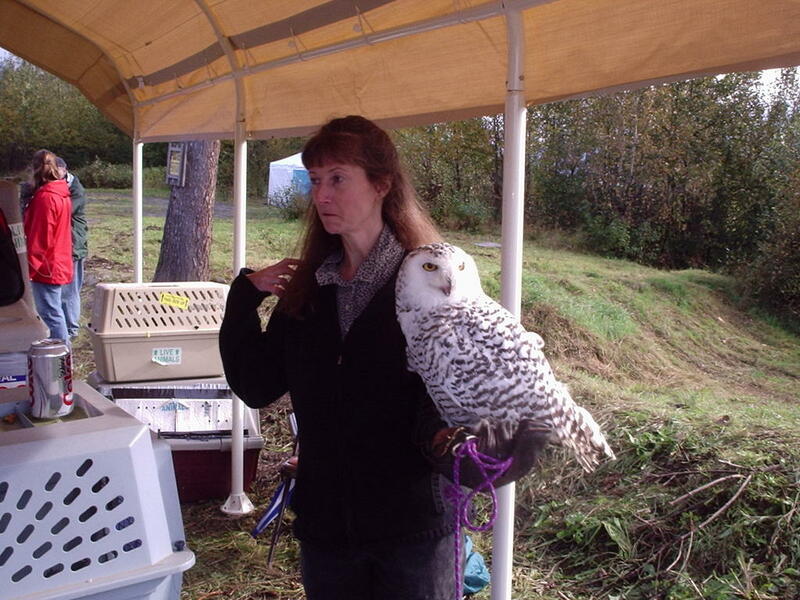 Alaska Zoo, Alaska Dept of Fish & Game, US Fish & Wildlife, ConnocoPhilips, ConnocoPhilips Employee's on the 17th floor, Cafe Del Mundo, Alaska Salmon Express, Tim Vanderhouwen of Airport Equipment Rentals, and all the great volunteers and staff at Bird TLC. Good job Rachel!